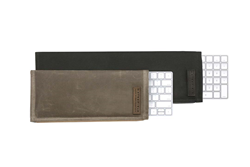 WaterField Designs Extends its Keyboard Slip Case Line to serve the new Apple Magic Keyboard with Numeric Keypad. Now students, gamers, financiers and others can protect and carry the extended Magic Keyboard on the go with a custom-fitted case. We designed the Keyboard Slip case to protect the Magic Keyboards so that users can take them from home to gaming parties, from workstation to workstation or from work to home with peace of mind that they’ll be protected. 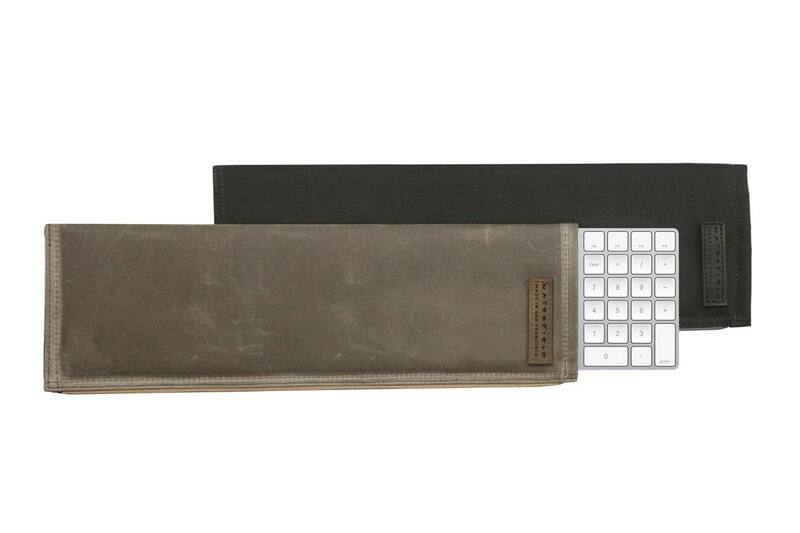 WaterField Designs, a San Francisco manufacturer of custom laptop sleeves, bags and cases for digital gear, extends its Magic Keyboard Slip Case line with a custom-fitted size for Apple’s new Magic Keyboard with Numeric Keypad. The new Keyboard Case protects the device from dings and spills with light padding enveloped in a waxed canvas or ballistic nylon shell. The Keyboard Slip, in black ballistic nylon or tan waxed canvas is lightly padded to protect the sensitive Magic Keyboard with Numeric Keypad or standard Magic Keyboard while in transit. The Case includes a rear mesh pocket to hold the Lightening-to-USB Cable or other small accessories. WaterField designs and manufactures all its gear in San Francisco allowing for quick design and turnaround time on custom-sized cases for new devices from Apple and its competitors. For carrying the new Apple Keyboard with Numeric Keypad along with the Apple Mouse 2, Magic Trackpad 2 and other necessities, WaterField offers the Keyboard Travel Express. The Keyboard Slip and Keyboard Travel Express can be stylishly stowed in any of WaterField Design’s messenger bags, briefcases or tablet bags. Keyboard Slip—Price: $39 for Keyboard with Numeric Keypad; $29 for Magic Keyboard. Colors: Black ballistic nylon or tan waxed canvas. Rear mesh pocket. Keyboard Travel Express—Price: $69 for Keyboard with Numeric Keypad; $59 for Magic Keyboard. Colors: Black ballistic nylon or tan waxed canvas. Available now for pre-order. Shipping begins late June, 2017.